1. 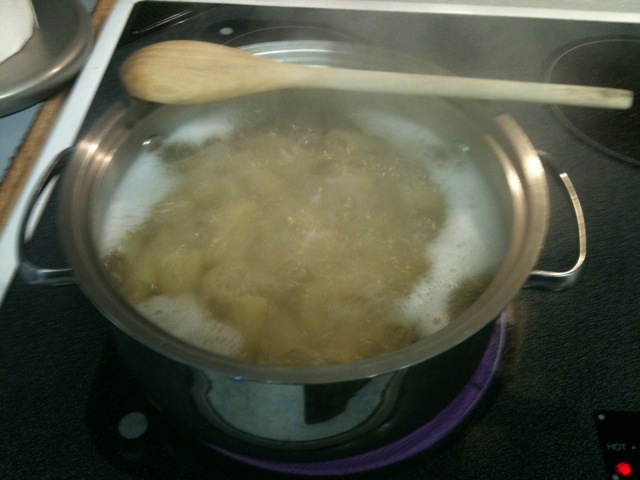 Cook the pasta in salted water, drain. 2. 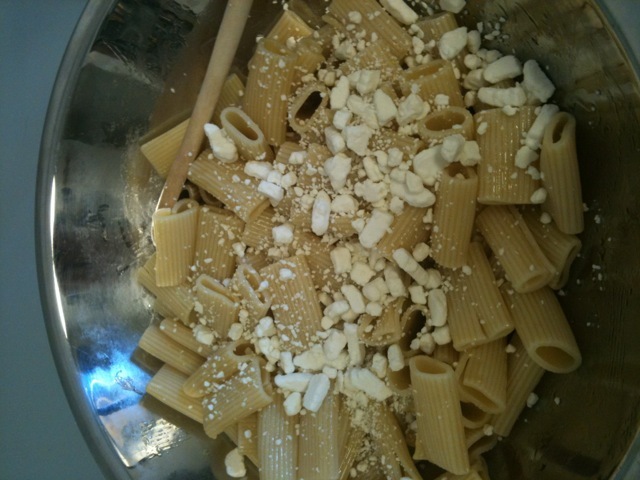 Return the pasta to the pot, toss with goat cheese and Parmesan cheese. Season with salt and pepper. 3. Sprinkle the pasta with any or all of the suggested toppings as desired, serve immediately. So since we were going to a family reunion with a potluck dinner AND it was supposed to be insanely hot out, we wanted to make something cold. I cooked the pasta and then put it in the fridge to cool it down a bit. 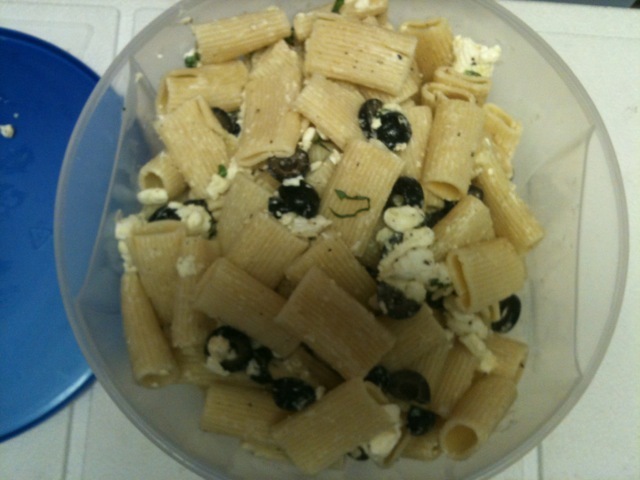 I sprinkled olive oil on the cold pasta, mixed it together, then sprinkled goat cheese on it. 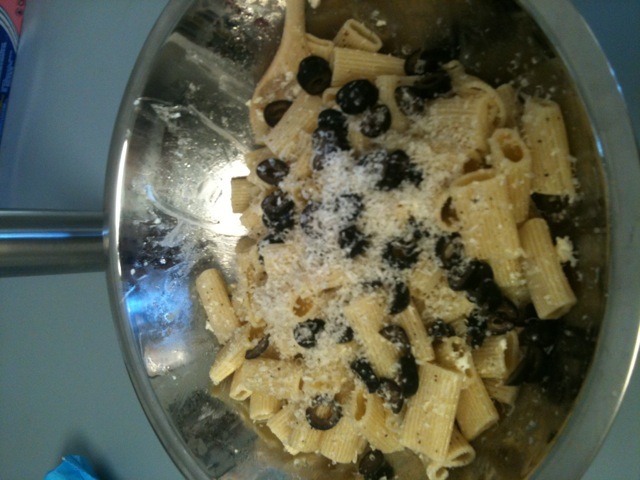 Then sliced olives and grated Parmesan cheese. 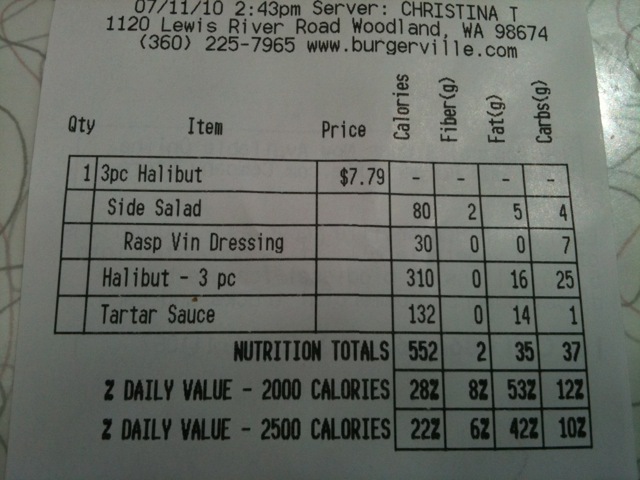 According to the Recipe Analyzer, a serving is about 350 calories. 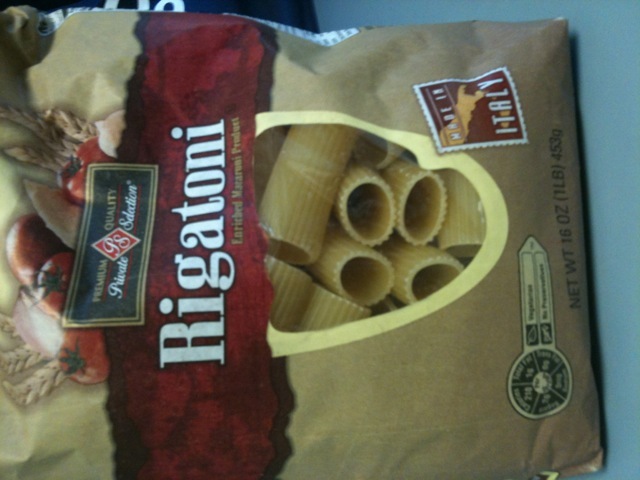 I took this pasta salad to the potluck this weekend. It tasted pretty good but it wasn’t as popular with the crowd as my No Bake Cookies. I think part of the reason is because there were tons of pasta salads already. Also, it was pretty dry. I probably should have added more olive oil to it before serving it. Oh well! Live and learn. I’d try the recipe again and see if I could get it just right. Sunday was a really nice day and we drove home from Poulsbo, managing to avoid all traffic. We lucked out. On the way down, we stopped at Burgerville to eat lunch. I was cranky because of my tooth and had decided I would just never eat again. Real mature, I know. Michael convinced me to eat. He said that if I was already in pain WITHOUT eating, why not eat food and still be in pain? 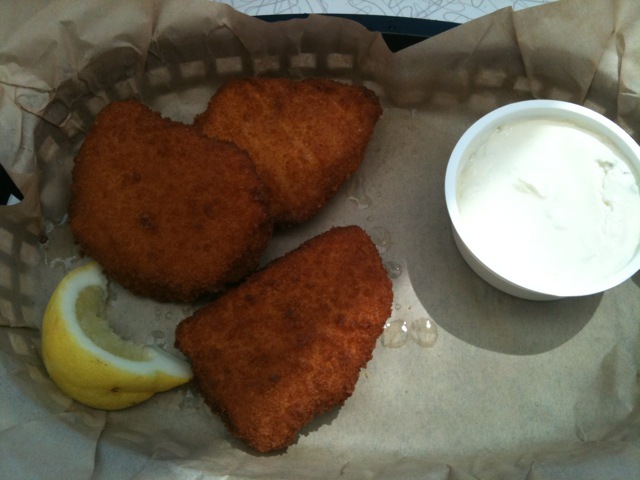 I got the Halibut fish and chips but instead of the chips, I got a side salad. I was actually really impressed with the meal. 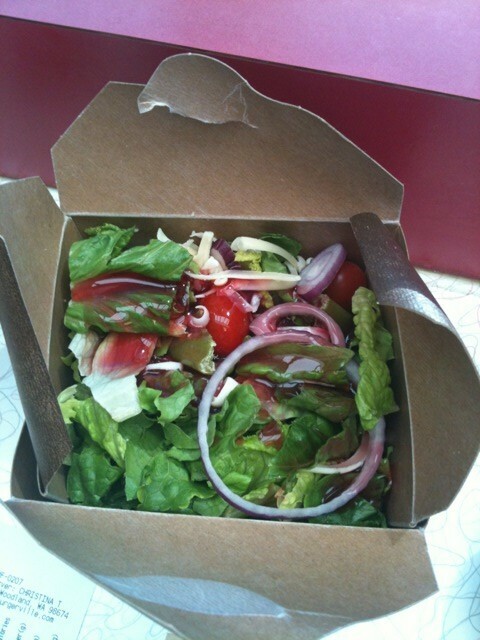 For fast food it was incredibly tasty — especially the salad. Not bad for 550 calories! That pasta salad sounds really good. It’s one of my favorite summer dishes, and love when people make them for barbecues.